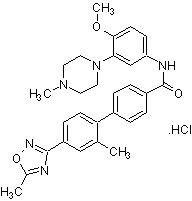 Potent and selective 5-HT1B/1D receptor antagonist (pKi = 8.5 for both 5-HT1D in rat and 5-HT1D in guinea pig). 100-fold selectivity over 5-HT1A, 5-HT1E, and 5-HT2C. Displays centrally mediated effects upon systemic administration. Publishing research using ab120523? Please let us know so that we can cite the reference in this datasheet. There are currently no Customer reviews or Questions for ab120523.